Book club beta testing is a special kind of field-testing for writers: you give a beta version of your novel, memoir, how-to, or self-help book to an established book club or group of readers convened especially for the task and ask them to give you feedback that will help you take the book from good to great. This kind of testing is frequently done by software designers, filmmakers, and the folks who make soda pop. There’s been something of a tradition for writers not to follow suit. We’ve stay holed up in our garrets, pouring our heart and soul into our art, and believing that writing somehow stands above the rough-and-tumble world of commerce. We’ve stay holed up in our garrets, pouring our heart and soul into our art, and believing that writing somehow stands above the rough-and-tumble world of commerce. Well guess what? It doesn’t. At least not in this publishing climate. It’s tough to land a traditional publishing deal, tough to stand out in the sea of self-published books, and tough to engage an audience no matter how you bring your book into the world. Writers need to become author/entrepreneurs and take the best practices from people who know something about securing a competitive advantage in the marketplace – even if those people are toothpaste makers. Beta testing is just such a practice. You can work out the kinks in your product, get a sense of what your audience is responding to, and increase customer satisfaction. Beta club book testing can be done by writers who are seeking an agent, turning a manuscript into an editor at a traditional publishing house, or planning to self publish. It is not, however, for the thin-skinned or the frail of heart – and I mean that seriously. If you are at the beginning stage of a project and still not sure whether it is going to fly, or if you are feeling particularly fragile or shy about your work at this moment, don’t even think about book club beta testing. Save it for a time when you have a very solid rough draft and a bit more swagger in your step about your project. I beta tested a novel called Perfect Red, my seventh book. All my books have been published by major New York houses and I’d participated in many dozens of book clubs who had read my previous books — so this wasn’t my first time to the rodeo. Still, inviting 28 women to give me their strongest opinions about Perfect Red felt a little like standing in front of a firehouse. It was not easy – and after the event, I had to go home and sift through stacks and stacks of detailed notes, which prolonged the pain. When is a good time to do it? Stage 1 is the stage when you just want someone to tell you that what you’ve done is okay, if not brilliant. Stage 2 is when you’re ready for someone to take a slightly more critical look, but you still want them to tell you that what you’ve done is okay, if not brilliant. Stage 3 is when you have a very solid draft and you’re ready for a tough story analyst to come in and tell it like it is, even their critique results in your having to do a major re-write. Stage 4 is the nit-picky stage where you want someone good at facts, grammar, and continuity to put your manuscript through the ringer so you can polish is to a high shine. Stage 5 is when you’re ready to send out to agents and editors, or to self publish. Your work is as perfect as you can humanly make it. I think the best time to beta test is between Stages 3 and 4. You know your work isn’t ready for the final polish, but you are open to tough feedback. What’s in it for the book club? Book clubs are comprised of people who love to read. Like many of the rest of us, they don’t have a lot of free time and they mostly like to spend that time reading the published books on their “to read” lists. But book club members may well be interested in getting a look behind the scenes at the factory to see how the sausages are made. Getting inside information on what it’s like to be a writer, how a story is made, and what the process is like can be very appealing. Being in on the ground floor of something that may one day be in the marketplace can be exciting. Getting inside information on what it’s like to be a writer, how a story is made, and what the process is like can be very appealing. Being in on the ground floor of something that may one day be in the marketplace can be exciting. What you don’t want to do, however, is waste anyone’s time. Before you go to a book club, make sure your work is as polished as you can make it. Give them plenty of time to read. 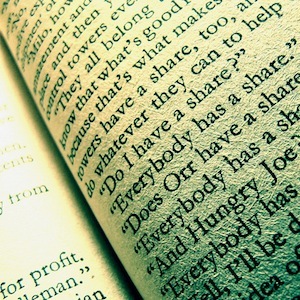 Be as generous as you can with your writers’ story, your time, and anything else. I brought a huge lemon cheesecake to the Perfect Red event, and emailed the group leaders the recipe when I wrote my thank-you note. I also promised I’d include each of their names in the acknowledgements when the book came out. Don’t ask a book club to which you belong. They’ll probably perceive your request as self indulgent. Try to find a group with people who fall into the same age range and demographic as your target audience. Ask around among your friends, family, neighbors and co-workers for suggestions. Many people are in multiple book groups, so there’s a rich web of groups out there. When you talk to the point person of a book club, explain who you are and what you’re doing. Give her as much information on your book as possible – including a sample chapter or two. Pretend like you’re making a sale. You don’t want a group to feel that reading your book is a burden; you want a group to be excited! If you can’t find an existing book club, make one of your own. Try to gather together a group of 8 or 10 people who are in your target audience, and try to make sure that the vast majority of the group doesn’t know you. Three to six months before the event: Set a date for the book club. Remember that many book clubs schedule the books they’re going to read many months in advance. Some will read your manuscript as a “bonus” read. Others will schedule yours as the only book they read that month. Still others will set an extra date to read your book. You’ll want to have one point person with whom you communicate so that you don’t have to email the whole group. One month before the event: Give hard copies of the book to participants. You can have them printed and bound at a local print shop or office supply store. Include a letter to welcome and instruct the participants. Thank them profusely. Tell them you are open to any and all suggestions, criticism, or feedback and that you don’t want them to tread lightly. I even go so far as to say, “If you feel like you want to stop reading, please stop. Mark the page where you stopped. This information will be very useful to me.” (Why is it useful? You might have five people who stopped reading within a few pages of each other. Guess what? You know exactly where your story needs work.) Finally, explain that they are welcome to write their notes directly on the manuscript, and that you will be collecting the manuscripts at the event. Was the opening strong and engaging? Would you have purchased the book after reading one chapter? Were you rooting for the main character? Did any character make you angry? Was that in a good way or a bad way? Did any scene make you laugh? Cry? What was your favorite moment in the book? What would you say the theme of this book is? What would be something you suggest I improve? Just before the event: Get a clean spiral bound notebook and a good ballpoint pen. Pick out something comfortable to wear. Check your pride at the door. 1. Sit in front of the group and reiterate how grateful you are for the time they’ve all spent. Also reiterate that you are there to get feedback, and that they shouldn’t hold back to spare your feelings. Pass around a notebook or clipboard so they can sign their names and email addresses so you can properly acknowledge them when the time comes. 2. Explain that you have a number of questions prepared and that you would like to talk about those first, and then open the floor to other comments. Explain that you will run the event somewhat like a classroom. People can raise their hands if they want to speak and you’ll call on them. But also explain that you don’t mind a little spontaneous arguing, so people should jump into the conversation without being called upon. It will be up to you to manage the conversation. It’s fantastic to let people argue, defend, explain and analyze among themselves, but at a certain point, you’ll want to rein them in and get the discussion back on track. 3. Ask your prepared question. Be prepared for them to be shy and slow to get started. Be open and inviting. Perhaps tell a story about the writing process. They’ll warm up to the task. Write down the key points, as fast as you can, in your new notebook. You will be writing like crazy, so use shorthand – like initials for character names, “b/c” for because, “w/” for with, etc. Don’t be afraid to ask people to repeat themselves. What’s a key point? Something that resonates with you and feels meaty and important. You don’t have to write down praise, unless it somehow helps you clarify your story. 4. As you respond to people’s questions or comments, offer them something in return. Tell an anecdote about how you came up with a character name, or how you rewrote the scene in question. Part of what’s interesting to them is getting to see how writers work. Be generous with your creative process. 5. Move through the questions, and when you’re done, open the floor to other comments. 6. Collect the manuscripts to take home with you. Chat with the participants. Thank them. Being inundated with feedback can be overwhelming. Be methodical in how you break it down. Type up the notes you took, thinking about them as you go. Did that particular point resonate with you? Why? Do you think you’ll take action on it? What you want to end up with is an action list of changes you want to make, divided by category – i.e. by character, chapter, narrative thread, etc. Go through the physical manuscripts. It’s a giant chore, but very useful. What I do is I take one manuscript at a time, going through and either making the change (it it’s a typo or a simple problem) or transferring the comment onto a master document (if it raised a problem or concern I need to deal with.) When I am finished with all the physical manuscript, I start work on the master document. The first thing to do is make any big changes. Don’t be afraid of this. Throwing out 50 or 100 pages? That’s do-able. Totally re-casting a character? Do-able. Starting the novel someplace completely new? Do-able. Anything is do-able if you are writing in service of the story. Don’t write in service of your ego. It hates to admit anything is wrong and will hold on for dear life to anything already in place. Just keep asking yourself, “Is this best for the story?” And then do it. Once you’ve made the big changes, you can start on the little ones. Cross things out on your master list as you take care of them. At the end, you will have a new revised manuscript. Print it out, go somewhere different from where you normally write, take a red pen with you, and read through, thinking about all the things you set out to change. Did you change them? Can they be improved further? Repeat until you are 100% satisfied. Jennie Nash is the author of four novels, including Perfect Red, The Threadbare Heart, The Only True Genius in the Family and The Last Beach Bungalow. She is the author of three memoirs, including The Victoria’s Secret Catalog Never Stops Coming and Other Lessons I Learned From Breast Cancer. Jennie has worked in a wide variety of publishing roles, including stints in the editorial department at Random House, on the editorial staff of New York Woman magazine, and as a freelancer for dozens of publications from GQ to The New York Times. 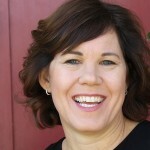 Jennie is an instructor at the UCLA Extension Writers’ Program and a private writing coach/consultant for fiction and non-fiction writers. She lives in Los Angeles with her husband and two daughters. Visit her website at www.jennienash.com.